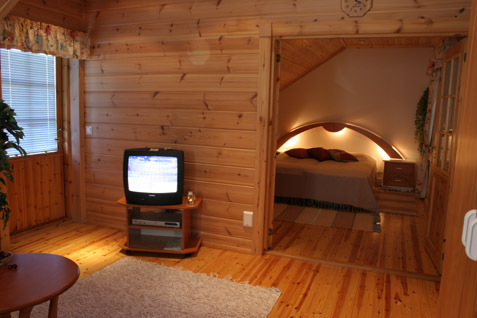 This apartment in semi-detached log houselocated in Vuokatti ski centre was completed in 2000. 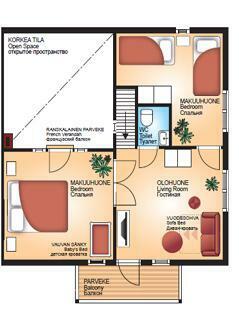 Floor area 85 m². 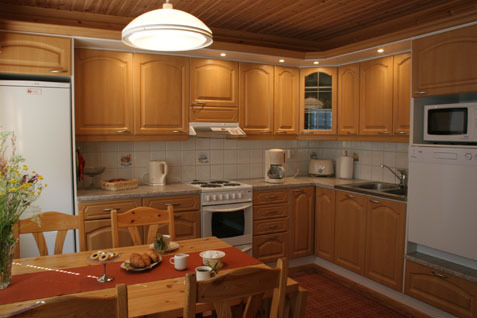 On the ground floor there is combined living room & kitchen with sofa-bed, one bedroom with twin bed, sauna (electric heating), washroom, toilet. Upstairs there is one bedroom with twin bed, one bedroom with separate beds for two, loft vestibule with sofa-bed, toilet and french balcony inside. 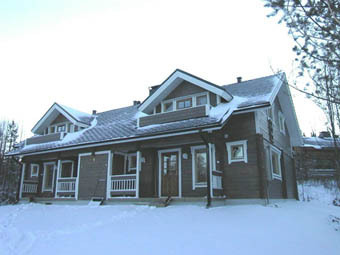 Two terraces, balcony and storageroom. Internet Access. Kajaani 33 km, Sotkamo 7 km. Vuokatti ski slope 100 m, cross country track 100 m. Small lake 1,5 km. Internet-connection (wireless, speed 30 Mb). Barbecue hut in shared use. 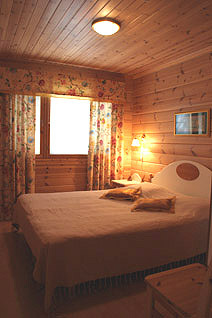 Linen can be rented. Pets allowed at additional fee.